This Houston Health Insurance Company review looks at Houston, Texas-based Texas Health Design. The company helps individuals, families, and businesses compare health insurance plans and rates. Texas Health Design hopes to fit clients’ needs and financial resources when selecting a new health insurance program. According to the company’s website, Texas Health Design’s agents want to help health insurance clients become smart health insurance consumers. The company acknowledges that buying health insurance can be a confusing task. The company’s agents help clients to identify and communicate about pre-existing medical conditions prior to binding coverage. A health insurance policy binds the health insurance company to cover medical care over a certain period at a certain premium payment cost. If you wonder whether you’re paying too much for health insurance rates, request health insurance quotes now by providing your zip code. Then, learn more about this Houston, Texas-based health insurance company. We provide contact information, agents, and types of health insurance offered by the company in this review. Compare the offerings of Texas Health Design to determine if the agency can assist you, your family, or company obtain the health insurance you need. Texas Health Design employs its own insurance agents. As an independent insurance agency, the employees of Texas Health Design offer the products and services of a variety of health insurance providers. The agents of Texas Health Design help clients compare costs and services, contract periods, and other details. The company espouses Christian ethics, according to the company’s website. The company’s blog helps clients to identify trends and opportunities in health insurance. The insurer can decide to offer coverage. The insurer can decide to offer coverage at a higher price. This is a “rate up” in the insurance industry. The insurance consumer can decide to purchase the insurance or not. The insurer can decide to offer coverage but exclude payment of claims for the pre-existing condition. The insurance consumer must decide whether paying out-of-pocket pre-existing condition management costs are affordable or desirable. The insurer can decide to decline the opportunity to insure the consumer. Texas Health Design agents suggest that the customer speak openly about the condition. He will receive assistance in filling out the required paperwork and application for new health insurance coverage. Experience in knowing what insurance companies match their customers’ needs is a value-added service of the agency, according to the company website. Some insurers in Texas do offer maternity coverage. According to Texas Health Design’s information, the number of available insurers is limited. Clients seeking maternity coverage should discuss this requirement with an agent at the company. Texas Health Design agents help human resources directors, business owners, and operations managers to identify new health insurance resources. 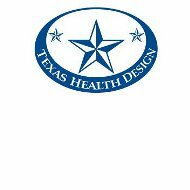 According to the company website, Texas Health Design ideally serves companies from two to about 100 employees. Designing a health insurance plan isn’t one-size-fits-all. Many factors, including location of employees, must be considered prior to establishing a group health insurance plan. The company believes that by streamlining the number of potential new health insurance providers, business owners and managers can focus on controlling costs and providing new health benefits to employees. Texas Health Design says that offering more than a single health care plan may solve certain employer headaches. For example, Form 1099 contract employees may receive health benefits while maintaining their potentially beneficial IRS tax status. The Texas Wealth Design division of the company helps employers to select money-saving capital growth strategies, including 401(k) plans, retirement accounts, annuity contracts, and other retirement and benefits plans. The company provides a full range of money and investment management strategies for business owners and managers. Choosing the least expensive plan may not offer the greatest customer value. Texas Wealth Design works with the business or organization to determine how each product or service matches with the company’s goals. Prospective clients are encouraged to request free quotes via the company website. The company requests prospective client name, address, type of insurance product, and other information. If you’re interested in comparing your health insurance rates with competitive health insurance quotes, just ask by typing in your home zip code right now!